Direct oral anticoagulants (DOACs) have been developed as a viable and in some cases superior alternative to warfarin. These agents have overcome some of the limitations of warfarin, which has a narrow therapeutic window and many food and drug interactions. 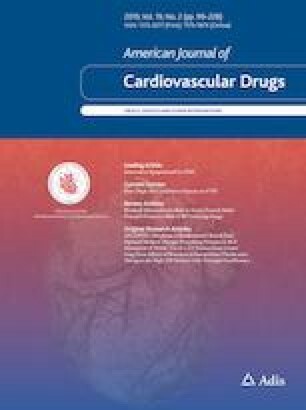 DOACs have been demonstrated to have a more predictable and reliable pharmacology and, unlike warfarin, do not require frequent monitoring of anticoagulant effect. For these reasons, the use of DOACs is increasing. Despite the many positive attributes of these agents, limitations and contraindications do exist. An understanding of the pharmacology, indications, and contraindications is therefore crucial for effective patient management. We review the available agents to aid in effective drug utilization. TK, CH, JH, TC, AK, HT, BM, AJ, and AH have no conflicts of interest that are relevant to the content of this review. “Dabigatran Drug Interaction Potential”. University of Washington. 2014. http://www.depts.washington.edu/anticoag/home/content/dabigatran-drug-interaction-potential. Accessed 9 Feb 2019. Todd Crump “Straight Healthcare”. http://www.straighthealthcare.com. Accessed 10 Feb 2019. “Summery of Product Characteristics”. European Medicines Agency, European Union agencies network. 2018. http://www.ema.europa.eu/en/medicines/human/EPAR/pradaxa#product-information-section%20pr. Accessed 9 Feb 2019. “Apixaban Drug Interaction Potential”. University of Washington. 2014. http://www.depts.washington.edu/anticoag/home/content/apixaban-drug-interaction-potential. Accessed 10 Feb 2019.